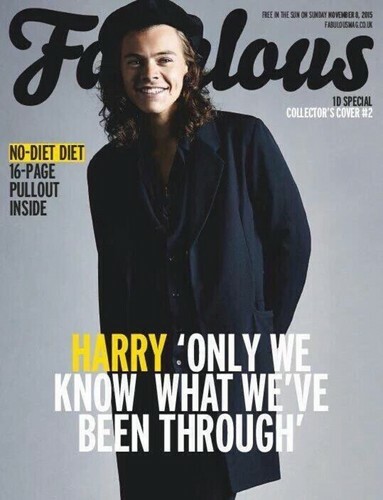 Fabulous magazine. . HD Wallpaper and background images in the One Direction club tagged: photo fabulous magazine cover one direction 1d harry styles hazza. This One Direction wallpaper might contain goed gekleed persoon, pak, broek pak, broekpak, kostuum broek, bovenkleding, overclothes, portret, headshot, and close-up.